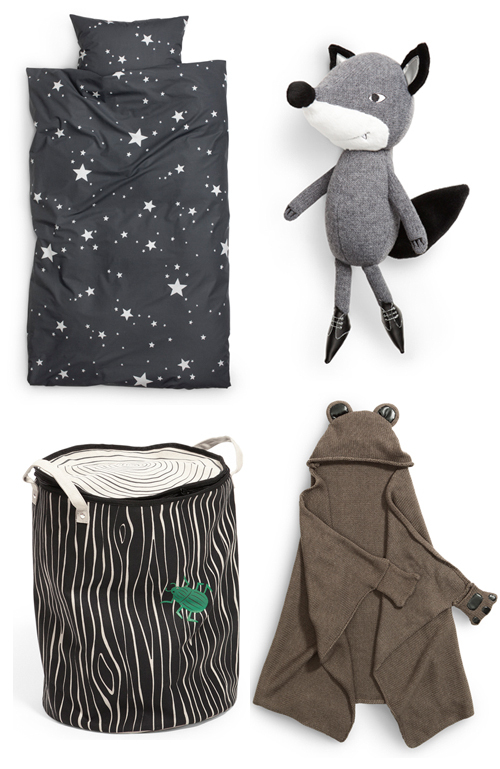 Last week I posted about the soon to be launched H&M Home Kids collection. Today I received some more images of the collection that will be available from July. In this first collection colorful items are combined with neutral tones. Materials used are soft knits, faux fur and organic cotton. There are some lovely items with star print which I have my eye on. OH adore it so much!!!! Love the fact that HM are being the biggest user of organic cotton in the world – that they as a mulitnational company is taking responsability. So so cute! I can’t wait to get my hands on the star bedding! Any idea when this collection will be available?